For your consideration are these natural Mountain sage and Palo Santo powder smudge stick bundles, sold by the piece. They are medium size at approximately 4 inches long. The color of the thread may vary from the photo. 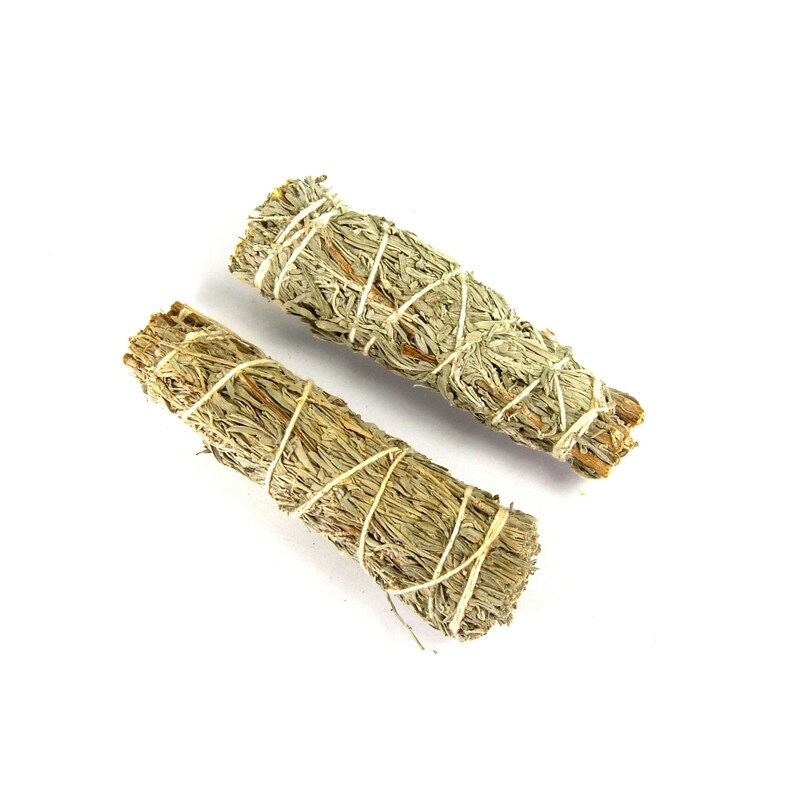 White Sage is a very popular smudge used by Native Americans to cleanse, purify, and bless a space or person. It is thought to attract good spirits and cleanse negative energies. It is said to improve wisdom, strength, certainty, and endurance. Very popular to use during meditation and prayer as an offering.